Each year in October Community Futures Boundary celebrates Small Business Week with Awards to local businesses and individuals. The awards are in a number of categories and the nominees for them come from people in the community. This year they were joined by The Boundary Regional Chamber of Commerce and the City of Grand Forks. The local MLA Linda Larson was on hand to show her support – she has a small business background after all. On behalf of the city the Mayor handed out a number of awards appreciating volunteers from the community. Around 200 people were on hand to share in the festivities. Thanks to Nik Green of Global Authority for graciously sharing video recordings with us. This entry was posted in Boundary, City and tagged awards on October 18, 2014 by gftvboss. 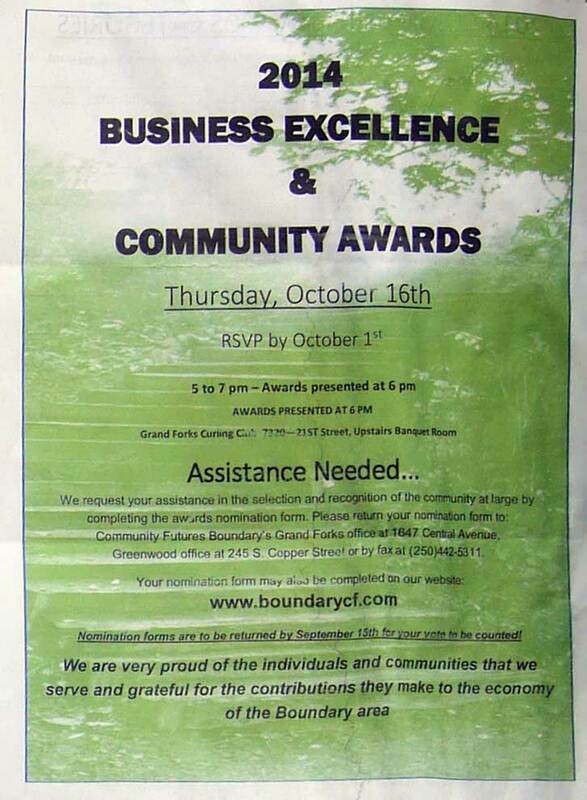 Community Futures Boundary hosted the Small Business and Community Awards during their Open House Thursday Oct 24 at the Grand Forks Curling Rink. This catered event was free and open to the public and nearly 100 people from the local business, government and NGO community were in attendance. Wendy McCulloch emceed the event while Sandy Elzinga hosted the awards portion. Our local Member of Legislature, Linda Larson, also put in a brief appearance. Each year the awards are given out in connection with Small Business Week. 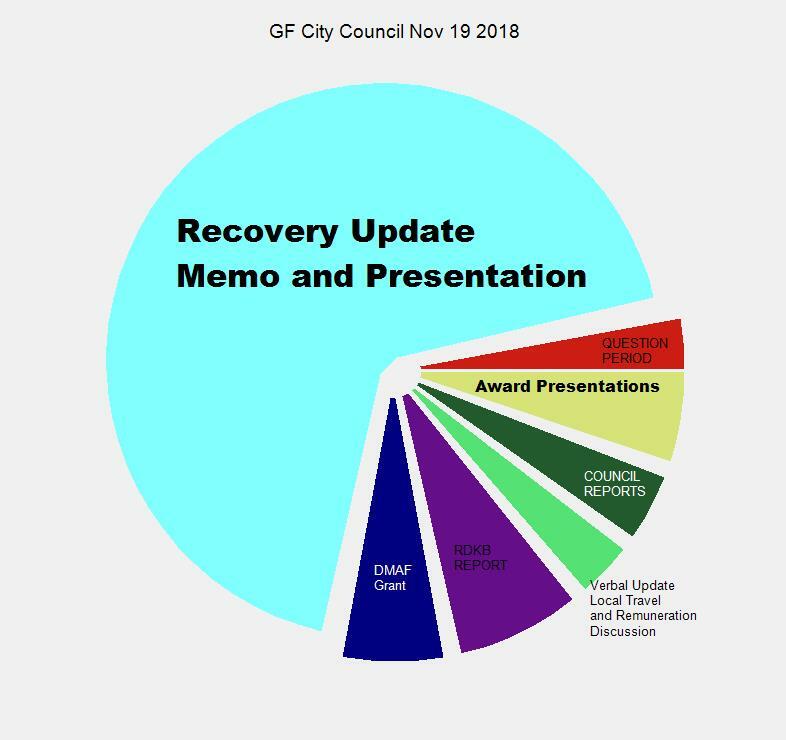 11 awards were given out: 2 internal to the Community Futures network and 9 to the community at large. While the categories are chosen beforehand the nominations and voting are up to the public. NOTE – correction: in the video the name of Bored Room Bistro is incorrectly spelled Board Room Bistro. 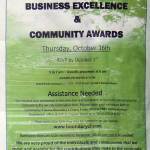 This entry was posted in local notables and tagged awards, Community Futures, small business. business on October 28, 2013 by gftvboss.